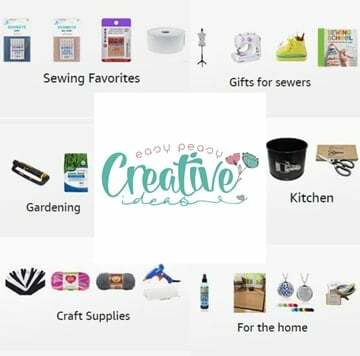 As you know by now, I love any craft that I can create using things I already have on hand and that other people usually trash after use. 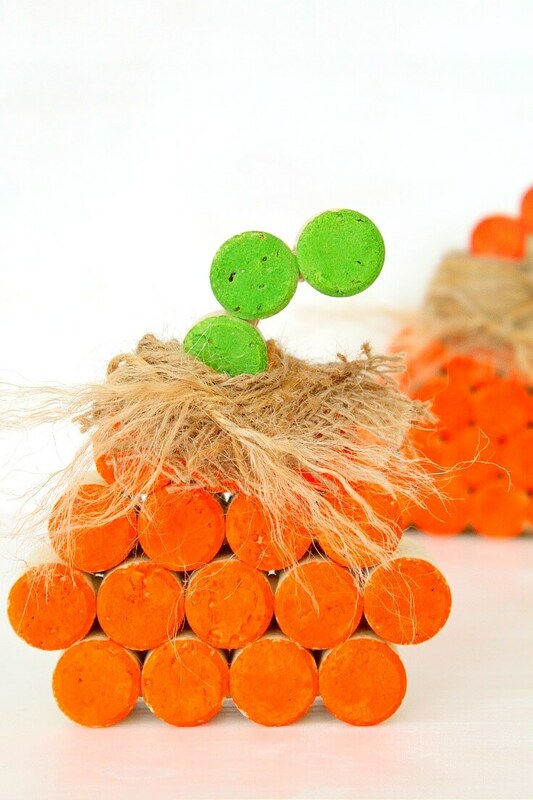 I love recycling! 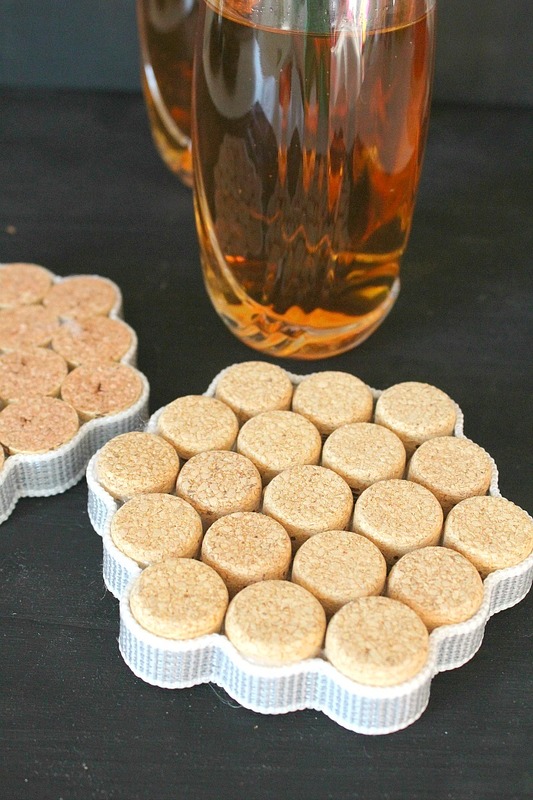 And these DIY cork coasters are the perfect way to recycle and reuse items that you otherwise just toss in the garbage bin. 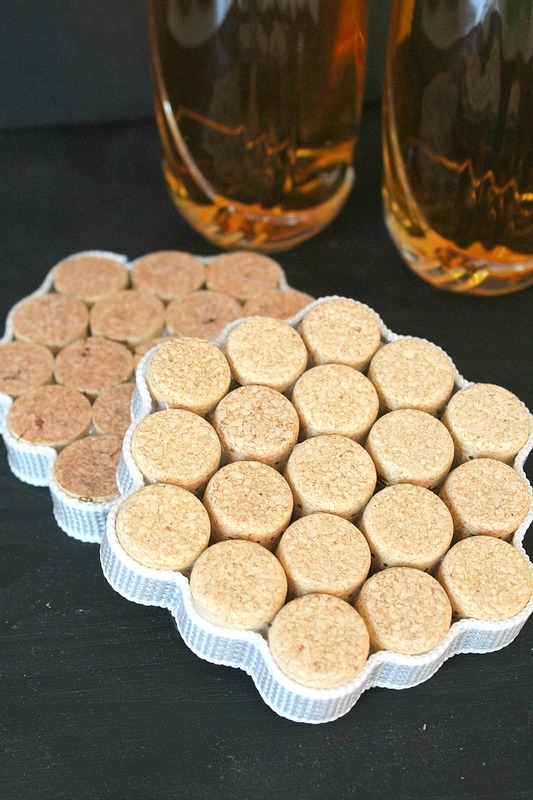 If you are a wine person and don’t know how a better use for your corks other than trash, give these wine cork coasters a try. 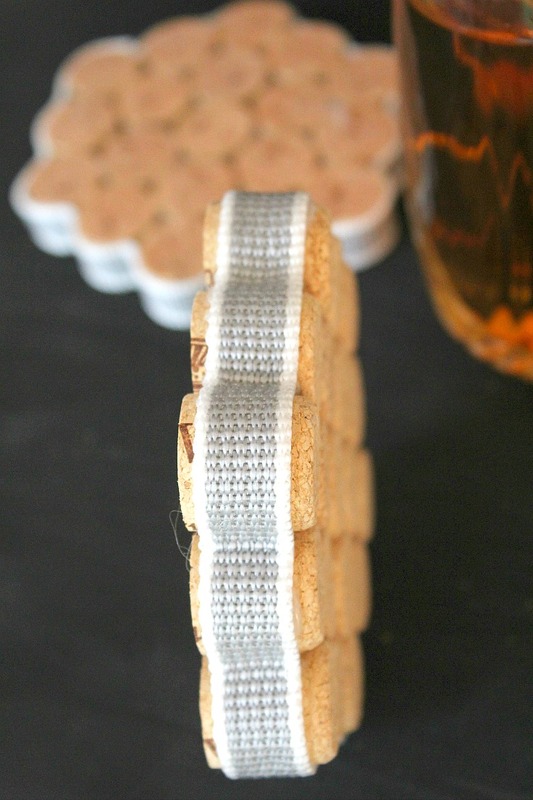 Simply twist your leftover wine corks, some hot glue and a ribbon onto these DIY wine cork coasters! 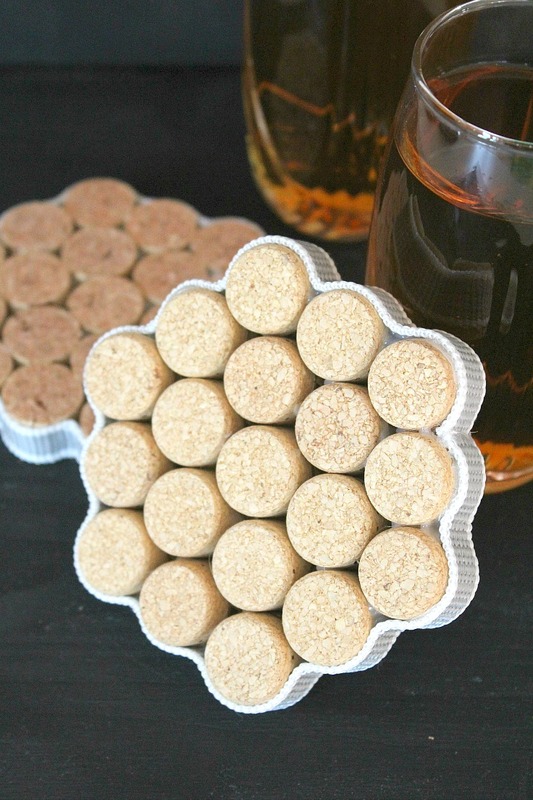 I love the versatility of craft ideas that wine corks have inspired and this DIY cork coasters project is so easy and simple to make it would be a shame not to give it a try. 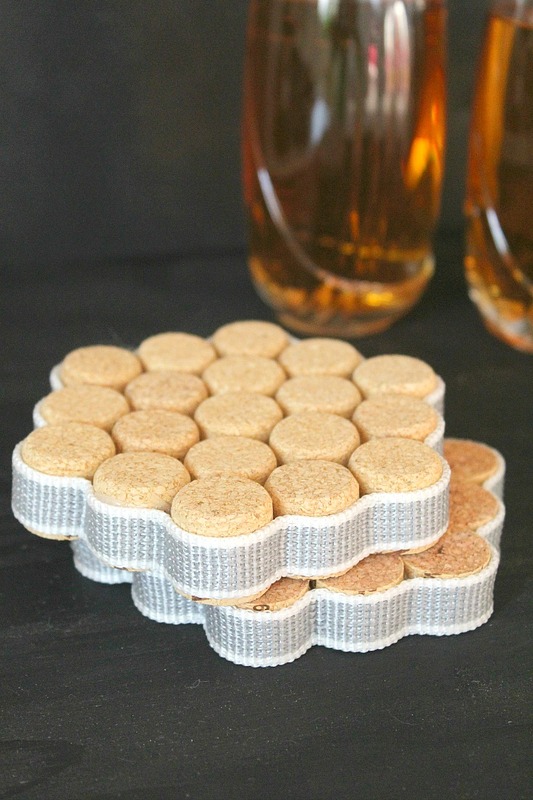 These wine cork coasters are perfect for your next cocktail party and will make you the talk of your friends! I don’t do alcohol but luckily (lol), some members of my family like to sip on a glass once in a while. And I was double lucky as they like white wine! 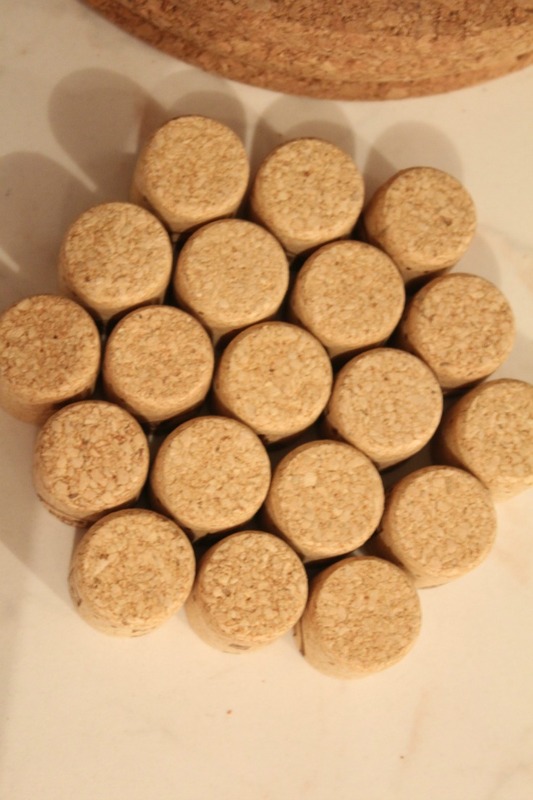 Which means the corks were not stained and didn’t need any complicated prepping to remove the stains, other than cleaning with dish liquid to remove the smell. 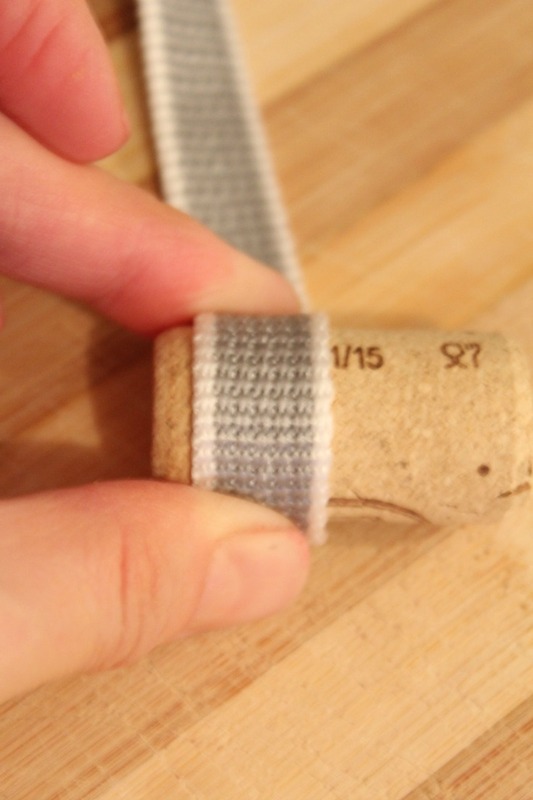 Measure the webbing against the corks and mark about 1/8″ away from the webbing edges, on both sides. 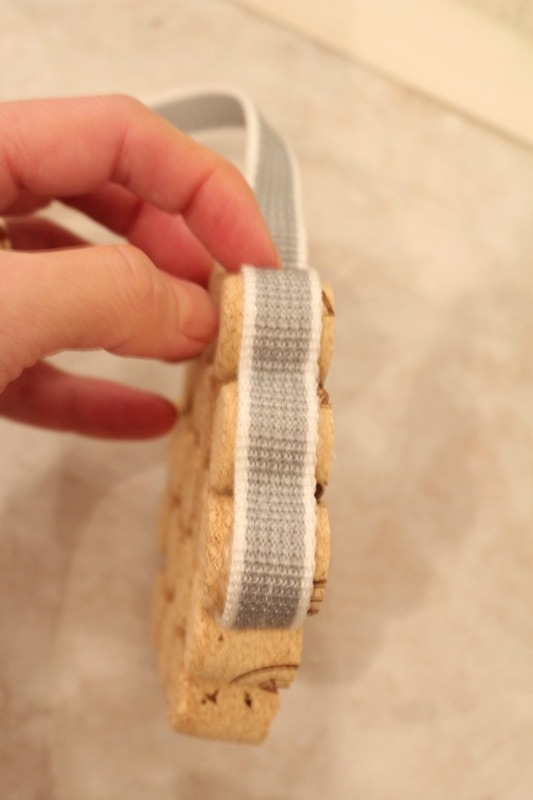 Glue the webbing on the outside of the newly formed coaster, applying glue one cork piece at a time.